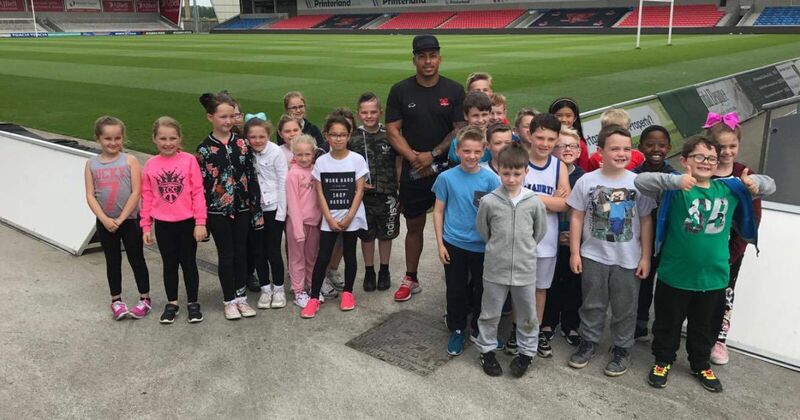 The Salford Red Devils Foundation hosted children from one of partner schools, Clifton Primary this week as part of a brand numeracy programme. 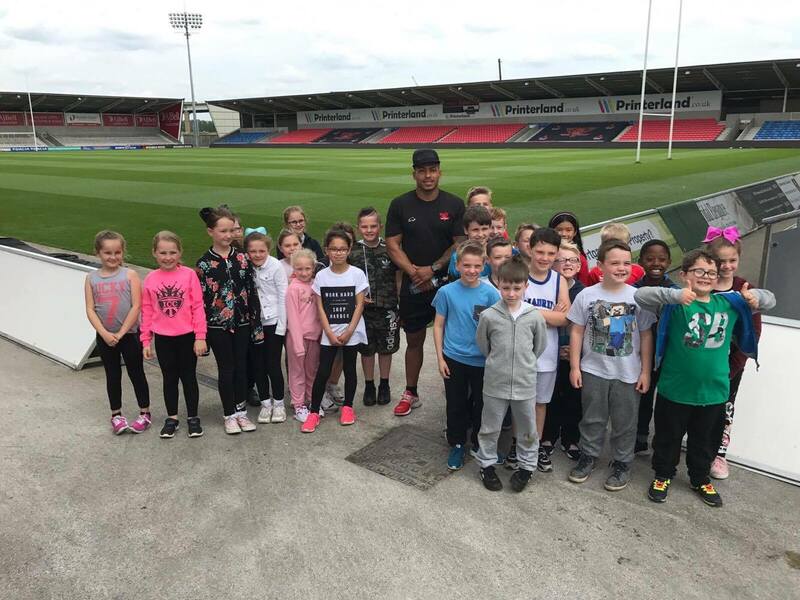 The Salford Red Devils Foundation hosted children from one of partner schools, Clifton Primary this week as part of a brand numeracy programme, that has been created in partnership with the school. The children took part in a number of fun, interactive maths based activities, all centred around rugby league, and match day at the AJ Bell Stadium. Following a tour of the stadium, the children were treated to a Q&A session with Salford Red Devils players. As part of the ongoing partnership with the school, the Foundation will be delivering a festival of rugby during their sports week, and providing coaching sessions. Further to this, the Foundation will be visiting the school to carry out further numeracy sessions with the children as we look to inspire them to succeed in maths through the vessel of sport. Clifton have also been invited to be guests of honour, and mascots at an upcoming Betfred Super League fixture, and continue to receive visits from the Red Devils player ambassadors.